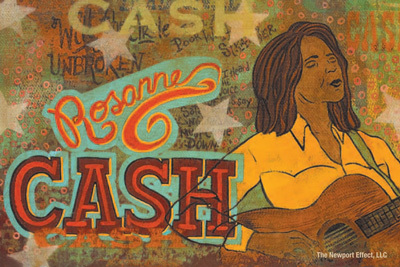 Rosanne Cash: Rosanne is a critically acclaimed Grammy award winning singer/songwriter who has played The Newport Folk Festival several times. The eldest daughter of Johnny Cash, she narrates the Traditional Music segment and offers personal reflections about her father's appearance at Newport, as well as Mother Maybelle Carter's. 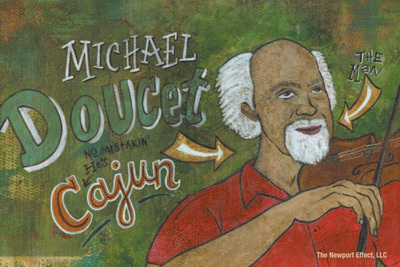 Michael Doucet: America's premier Cajun fiddler, Grammy winner Michael Doucet has performed at Newport with his band BeauSoleil as well as with Mark & Ann Savoy. He narrates the Cajun segment and offers insight into how Balfa Freres' appearance at the festival helped resurrect the dying art of Cajun Music. 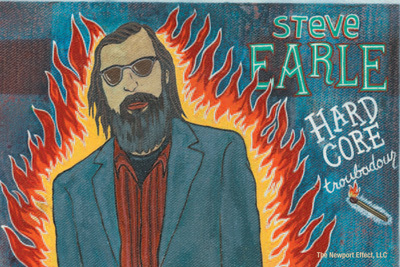 Steve Earle: Songwriter Steve Earle has three Grammy awards and multiple Newport sets to his credit, as well as sixteen genre-spanning studio albums. His fearlessness & political outspokenness make him a natural to narrate the segment on Taking Risks. He talks candidly about one of the riskiest moments in Newport history; the day Bob Dylan "went electric." 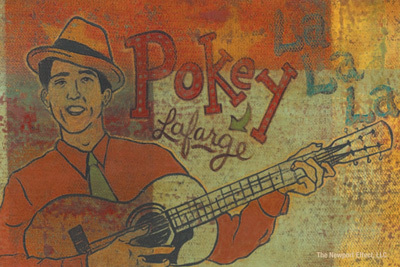 Pokey LaFarge: When St. Louis Artist Pokey LaFarge first appeared at The Newport Folk Festival in 2010, his old time appearance & sound charmed the crowd and helped launch his career. As someone with firsthand experience of "the Newport Effect," he was a natural choice to narrate the New Artists segment, joining the multitude of artists who have had career changing moments on the Newport stage. 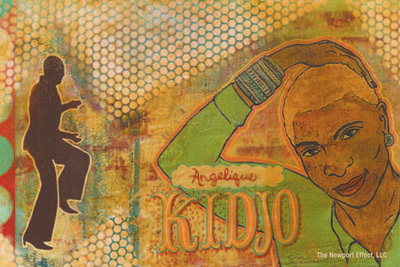 Angelique Kidjo: Born in Cotonou, Benin, Angelique Kidjo embodies the definition of a world music artist. A fervent social activist, with countless awards to her credit, Kidjo narrates the World Music segment. She talks about how, as a little girl growing up in an Africa, she would have never envisioned singing on a stage like Newport though she has gone on to grace both the Newport Folk & Jazz several times. 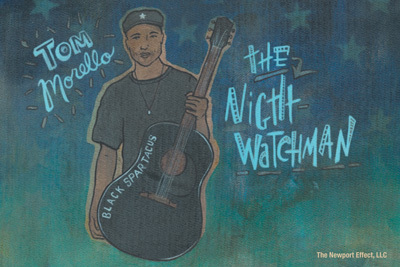 Tom Morello: Known widely as the lead guitarist with Audioslave & Rage Against The Machine, Tom Morello has brought to Newport the politically and socially charged music of his solo act and folk alter ego, The Nightwatchman. His activism mirrors that of the festival and makes him a natural to narrate the Social Activism segment. 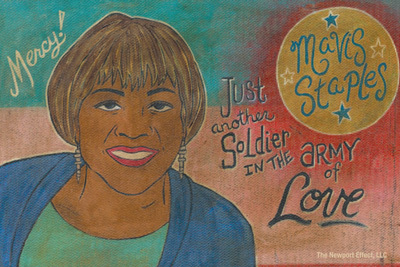 Mavis Staples: One of America's most beloved artists, Grammy winner Mavis Staples has returned to the Newport stage many times, but her first appearances were with the Staple Singers in the early 60's. She narrates the Gospel segment and talks about her idol Mahalia Jackson and how her father, Pops Staples, convinced her that spiritual music had its' place at a folk festival. 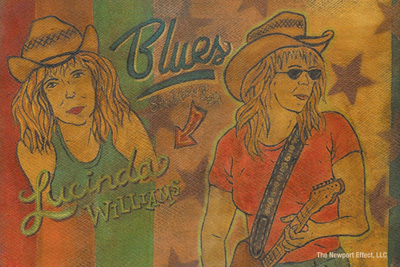 Lucinda Willliams: Americana artist Lucinda Williams has enjoyed a critically acclaimed career, has multiple Grammy awards to her credit and a brilliant catalog of studio records. Her father, poet Miller Williams, introduced her to the Delta Blues and the genre became firmly entrenched in her psyche and style. As the narrator for the Blue Segment, Lu taps into her deep connection to the Blues and talks how Newport exposed its' audiences to some of the aging giants of the genre.